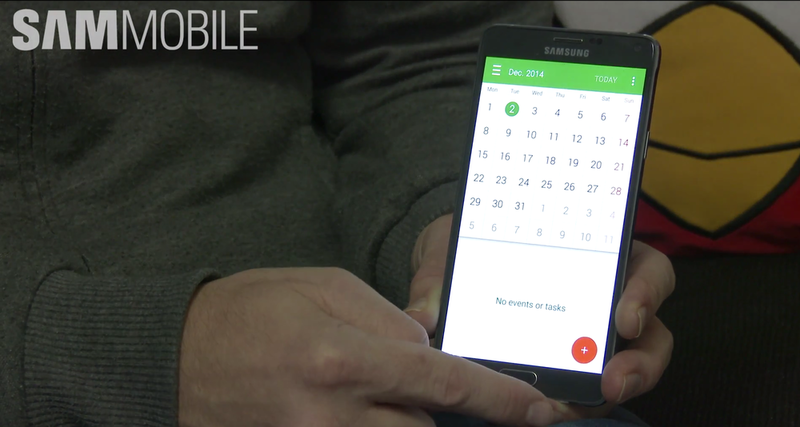 When will the Samsung Galaxy Note 4 receive Lollipop? After the update passes internal certification and individual carrier testing, most likely. But if that sounds too far off, SamMobile has released an appetite-whetting video of the new firmware in action. Immediately apparent are Material Design refreshes. The dialer, clock, calendar, messaging, and e-mail app have all been updated with its hallmark elements, namely pastel colors, floating buttons, and a sliding drawer. Also different is the settings menu, which has gained a back button for sub-menus and scrollable section tabs. We are guessing the update is still undergoing testing, as Samsung has not announced a release date yet. Hopefully, though, Galaxy Note 4 owners will be enjoying Lollipop before long.